You all know I love making a big impact in little spaces & I think that art is a great way to accomplish this. Our little white floral hallway has needed an injection of color for a while now & thanks to our latest addition, this little hall packs a punch. 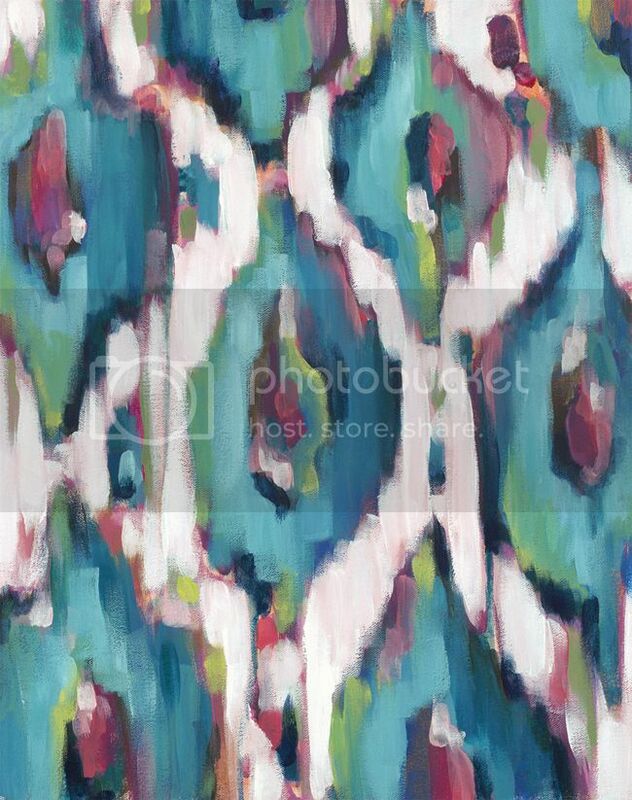 The artist behind this Ikat Print is Laura Dro, the name & talent behind Laura Dro Designs. Her love of color is evident in every piece she produces. 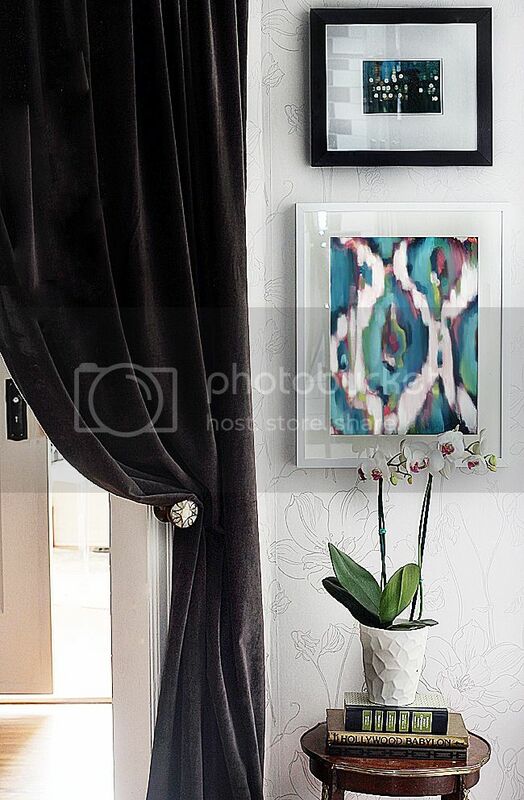 I love how this Spring Teal Ikat print ties all of the colors of our home together, which is appropriate in this location as it is the center of our home. Even though these are prints, the depth of each stroke remains present. And did I mention these prints are really affordable. 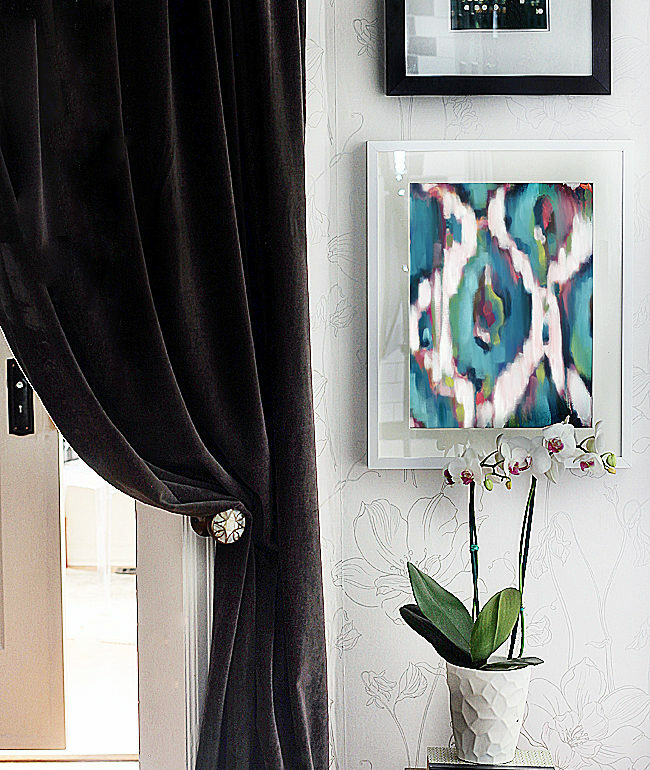 Ranging from $20-$100 these prints can make a big impact on any budget. She also has a selection of original paintings as well. 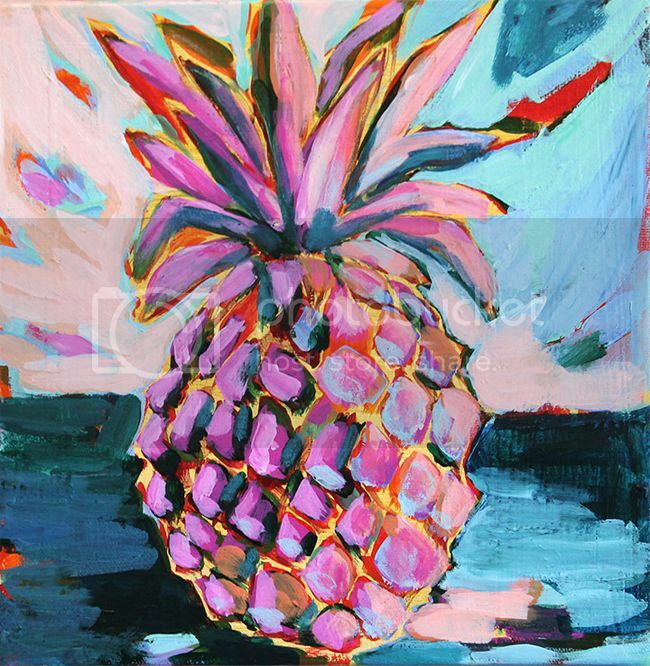 My absolute favorites are her latest Pineapple Series. Many of her designs can also be used in her selection of personalized Lucite Trays as well. 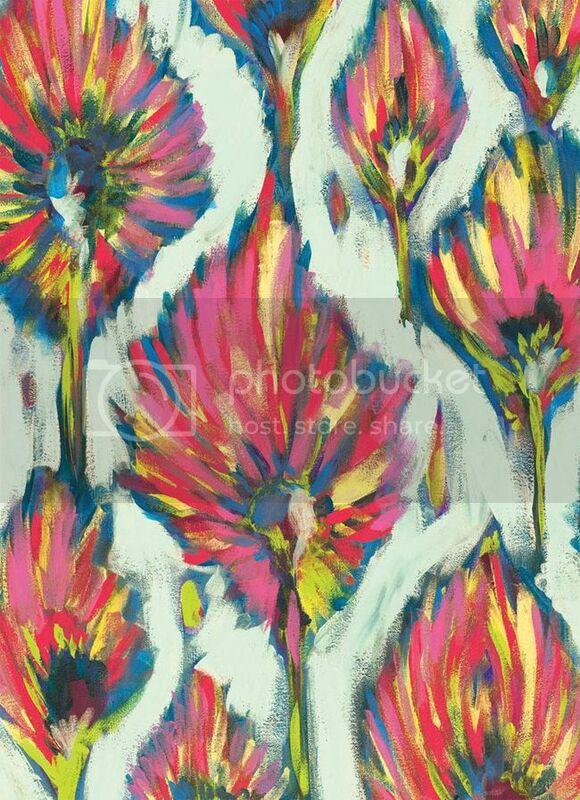 Love these and you can't even really tell that they are prints and not an original painting! It definitely spruced up your walls! This looks so amazing! I love it! Thank you for the kind words!! I LOVE her work…With so many modern impressionists, their work can sometimes feel redundant. Hers is so fresh and has a distinct style!! I really love the colors in the Pineapple series. I think that it would add a touch of whismy to any space. So gorgeous! I noticed you pinning some of her fabulous works. 🙂 Thanks for sharing – off to peruse the Laura Dro Designs website!